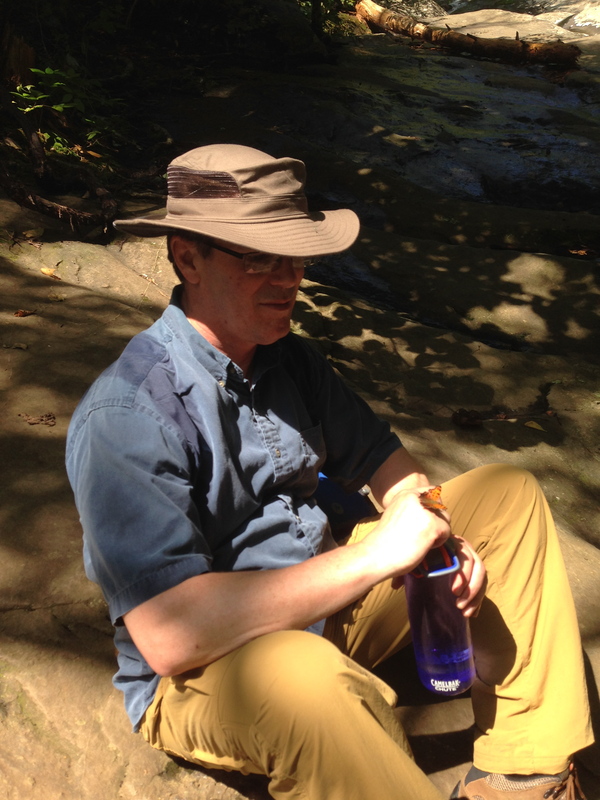 After weeks of hiking in Maryland, Tod and I planned a week of vacation in Shenandoah National Park. We set up camp in Big Meadows Campground on Sunday. 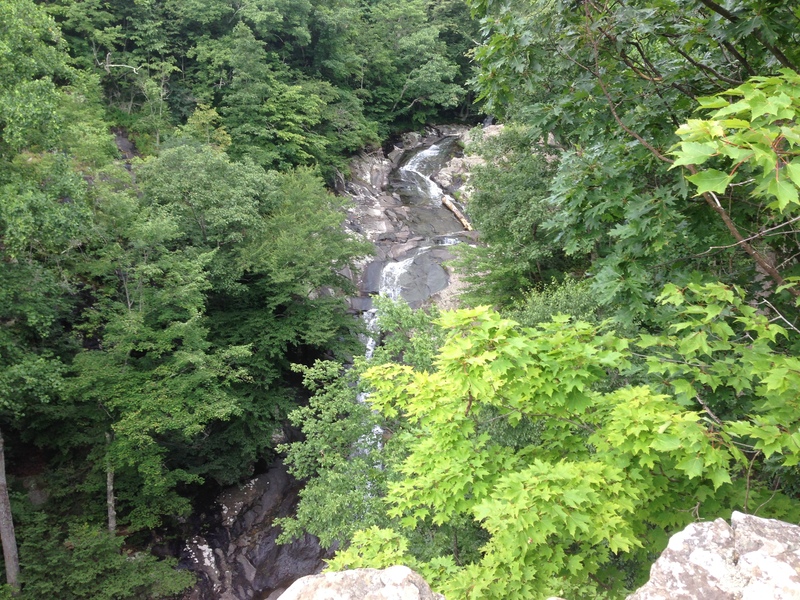 On Monday morning we took off hiking the Cedar Run-While Oak Canyon Loop, described in one guidebook as “a very strenuous loop hike through two gorges” that “passes nine beautiful waterfalls.” It is located at mile 45.6 on Skyline Drive. 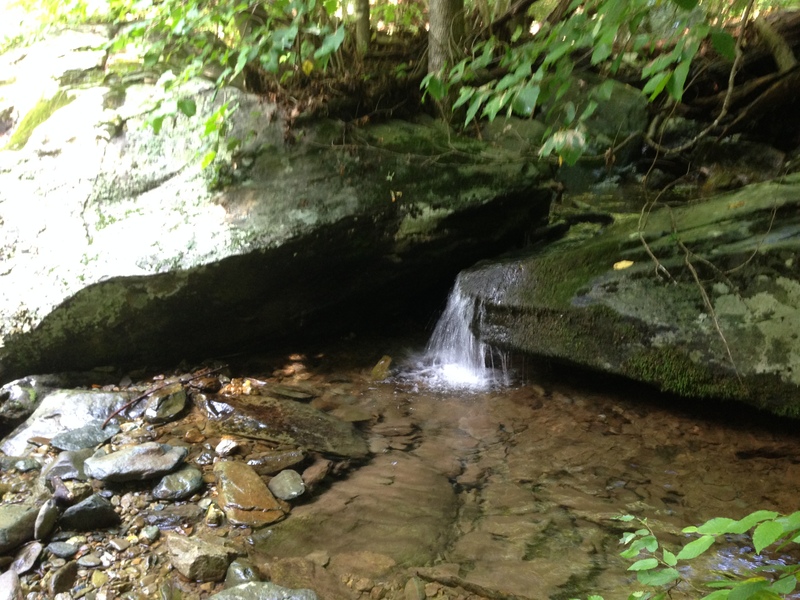 Our hike began on Cedar Run, a bath that descends along a staircase of smooth rocks. The light was almost surreal, reminding me of a filtered camera lens designed to soften the picture. Before long we heard the roar of water, a sound that would accompany us on much of the hike. 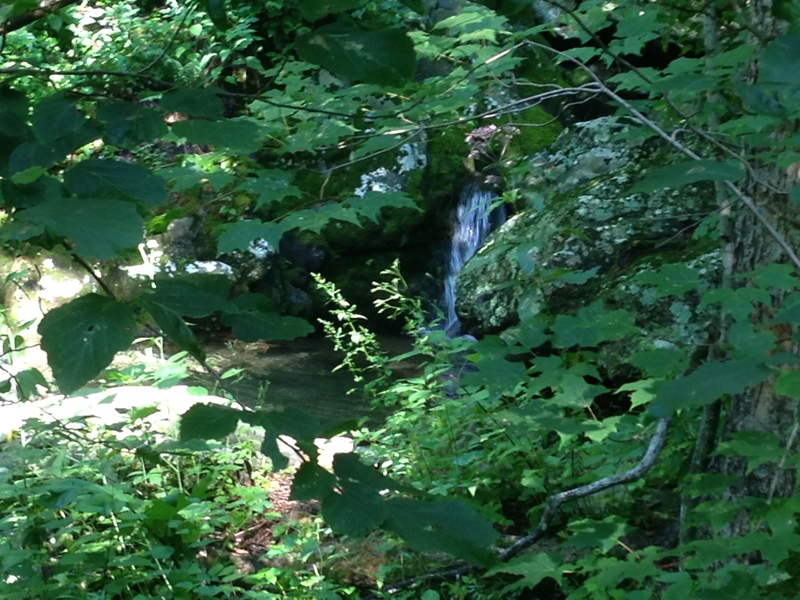 To my delight I saw cascading water, gently falling over rocks. We were alone on the path, and the solitude of the moment was wonderful. As we continued to descend, I couldn’t believe how we continued to see water, bubbling over rocks, falling over small overhangs, cascading through the canyon. Breathtaking! A hiker’s version of paradise. After lunch by a stream we began our ascent back. 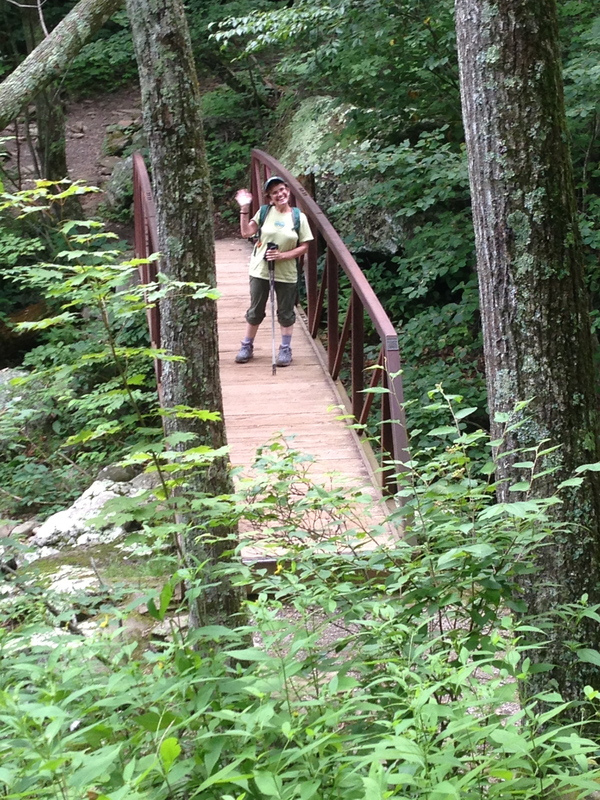 We took the White Oak Canyon Trail, ascending a very step path that zigged and zagged up. Way up! although the guidebook says that the path goes “straight up” for 2.5 miles it felt like 10. “2.5 miles?!?! 2.5 miles?!? No way! No way!” I kept shouting. Tod was too breathless to respond but I could tell he agreed. We were very thirsty and all the way up, all we could talk about was what we would drink when we got back. Diet Pepsi? Lemonade? Gatorade? Our bottles of water were not cutting it. Finally, got to a cement marker. Tod read from the guidebook about what to do next but, in our stupor, it was hard to understand. My glasses were too foggy from all the sweat to read the book myself! Eventually, we turned onto the White Oak Fire Road for the last two miles of our hike. It was a gentle, steady, uphill trip back to the car. In all, we went approximately 9 miles over a 6 1/2 hour period, descending and ascending about 2000 ft. “Never again!” we said at first. Of course, by the next day we had a different opinion. This entry was posted in Maple's Jots on Jaunts and tagged Cedar Run, hiking, PATC, Shenandoah National Park, White Oak Canyon by Maple. Bookmark the permalink.